How do you get collagen casing to stay twisted for links? I have a pretty cool technique for doing exactly that! I first twist both links together, as you normally would and then feed the leg of one of the sausages up through the twisted links. This locks the twist in place and keeps the sausage from coming untwisted. I then measure off the next links and twist them together, then I feed the opposite leg up through the links keeping the sausages the same length. 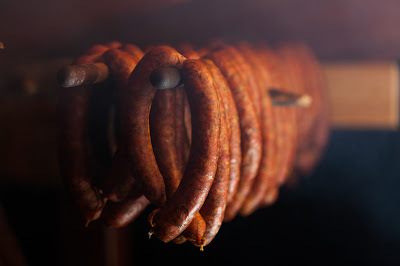 This same process is shown in great detail in our New Advanced Sausage & Jerky Processing DVD, this title is hot off the press and now available. The video will demonstrate the exact technique you are asking about so please watch and enjoy. If you need more information we have the Advanced Sausage and Jerky DVD for you. Thanks again and have a great hunting season! Can I Quarter Before Hanging to Age? I have watched your video every year to refresh my memory and have a question about the aging? After the skinning of the hide, you have taken a wet rag and torch to it, then hosed it down. Can you hose it down, quarter the game out then. Aging game meat is one of my favorite topics. Often times its the most important and most overlooked step in producing a quality product. 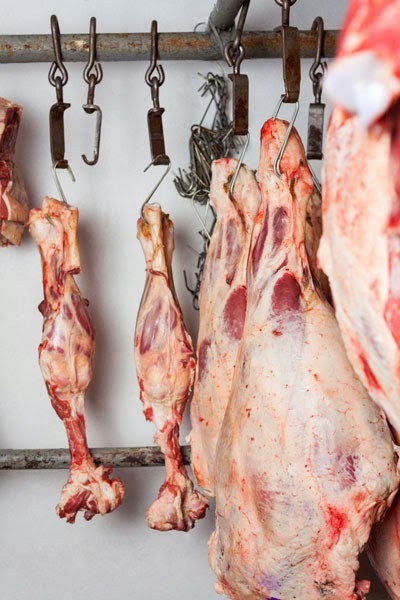 When you age meat you allow the body moisture/heat to evaporate from the carcass, this changes the flavor so we can rid the carcass of the "nasty game tasting" flavor so often associated with wild game animals. The second thing that happens is the enzymes in the muscle tissue begin to break down the muscle proteins making a more tender product. If you allow both things to occur, body moisture evaporation and muscle tissue break down, you'll have a very enjoyable product. As a general rule I like to age animals 3 days for every 100lbs of carcass weight, that's an average. If the carcass has some body fat you can go longer but as a general rule you should age 3 days for every 100lbs. If the carcass is 150lbs then age 4-5 days. This is exactly the reason I created the Koola Buck Portable Walk in cooler system. So hunters would have a great way to hang and age their game animals whole without having a giant walk in cooler in their house that they will only use a few times each year. The draw back of quartering the animal and then hanging it is the increase in surface area. When you hang a deer whole and age the meat, you will begin to notice the surface drying out and even becoming a little dark in color. This is why I say take an average of 4-5 days, you will get the body moisture out and the muscles will break down enough to have a tender product. If you age longer often times the flavor really doesn't change much and the muscles really don't get any more tender than they would after 4-5 days. 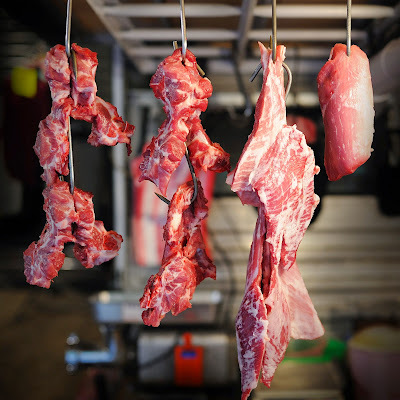 What does occur though is the surface of the meat dries out so much that you end up trimming it off and tossing in away because its to dark in color and to dry to use. You'll have some dry trim and dark areas even after aging 4-5 days, but as you age longer, you get more waste and I really don't think the benefit is worth the waste. The problem with quartering the animal is now you have a lot more exposed area that's going to dry out causing additional waste. Now having said that, if I did not have a choice and could not hang the carcass whole, yes I would quarter and age the animal rather than not age it at all. You will have more waste but still have quality meat. Thanks for the great question! One of my favorite topics! 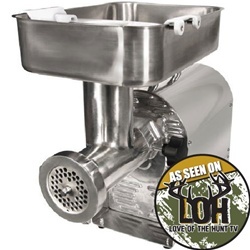 I’m thinking about getting a Weston Commercial Meat Grinder, but I’m not sure which size to get. I usually take home about 4-5 deer a season. Thanks in advance for your help!! Purchasing the correct size grinder is a pretty important detail that shouldn't be overlooked. If you were only processing one or two deer a year you would be fine with one of the #8 Electric grinders from Weston. If you are processing 3 or 4 a year you will need to step up to one of the pro model units like the #8 1/2HP Stainless pro series grinders. When you start talking 4-5 deer a year you really need to look at a #12 or #22 grinder to handle the volume of meat and to save time. To explain this in a little finer detail we need to talk about gristle, fat and sinew. Wild game meat, especially whitetail deer has a lot of connective tissue that we end up calling gristle and sinew, this tough chewy tissue gets wrapped around the blade of the grinder and slows the grinder down and even prevents the meat from coming out the head of the grinder, bigger grinders with larger heads allow you to grind for a longer period of time before you need to stop, take the head apart, clean the blade and plate, then reassemble the head and start grinding again. So along with overall speed and grinding power you also have the gristle issue to deal with so with all the reasons pilled together you will need one of the larger pro grinders to handle the volume you're talking about. I hope this helps with the decision and once again, thanks for the great question. Can I Smoke Sausages in Synthetic Casing? I have always used an oven at a low temp to make sausage and had just figured that with the synthetic casings I use, smoking would just be a waste of time. My thinking is that the smoke would just stick to the casing and not actually penetrate into the meat. Having not ever smoked sausage, I was hoping you could advise if smoking would be worth the extra effort, or if a natural casing is needed to enjoy that great smoke flavor. Yes you can smoke fibrous casings. The smoke will penetrate the casing as long as the casing remains moist. Always remember moisture is the medium that smoke uses to penetrate through the casing and into the meat. Believe it or not, fibrous casings are perforated and the smoke will penetrate into the meat. Of course natural casing will work much better, but fibrous will absorb smoke also. Good luck Steve and have a great fall. 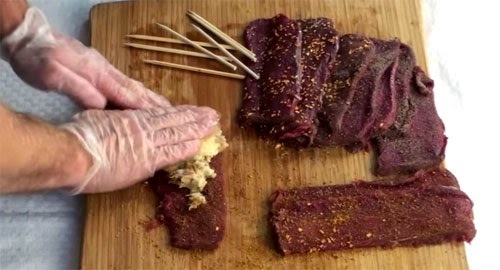 How do you make Venison Bacon? 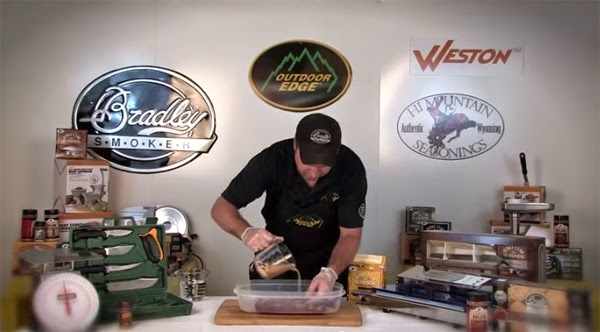 How do you make venison bacon? Any good procedures? Is it ground venison, pork shoulder and buck board bacon cure - pressed into a mold? Hello Dave and thanks for the question. Yes, you are correct. 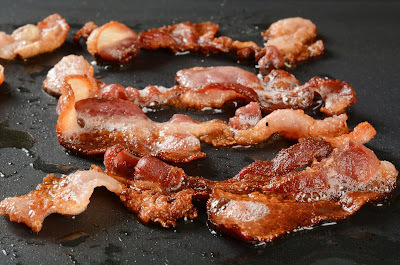 Venison bacon is made in the same fashion as turkey bacon, the meat can be ground to a couple different textures or plate sizes if you would like and mixed very well to extract as much protein as possible so the product binds together tightly when you press it into the pans. There are three very important, key processing points that must be done properly to make the product work. - I like to grind about 3/4 of the meat through the fine grinding plate twice and the other 1/4 through the coarse sausage plate to provide some larger pieces of meat for texture when eating the final product. - Mixing: After the product is ground you will need to mix for a solid 5 minutes very vigorously to get as much protein extraction as possible. You want that meat batch to be as sticky as possible. - Spray your pans with a non-stick spray and pack the meat in tightly with no air pockets. During the grinding process, it's important to add your seasoning and non fat dry milk to the product as a binder, or if you can find it: sodium tripoly phosphate works very well. If you enjoy making these type of products, getting my Mastering Marination DVD would be a wise choice. In that DVD, we make a variety of product similar to restructured Bacon as well, I think you would really enjoy it. Thanks and good luck with the product. 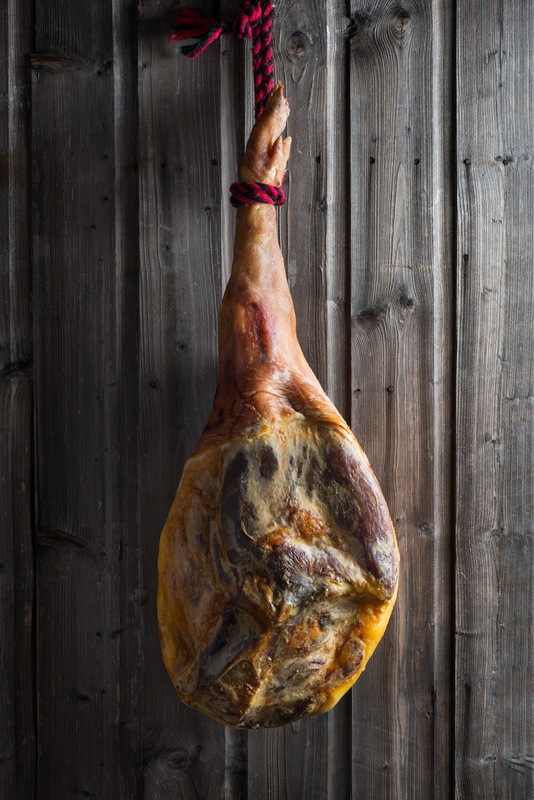 What's the Process for Dry Cured Venison Hams? I'm going to take a hind quarter of a deer and make a ham - bone in. With hogs, I salt them for 21 days, take them out and wash them, then use a sugar cane, red pepper & honey cure and let it hang at 38 degrees until ready. Can I use this same procedure on a whole deer quarter, or do you suggest something else? 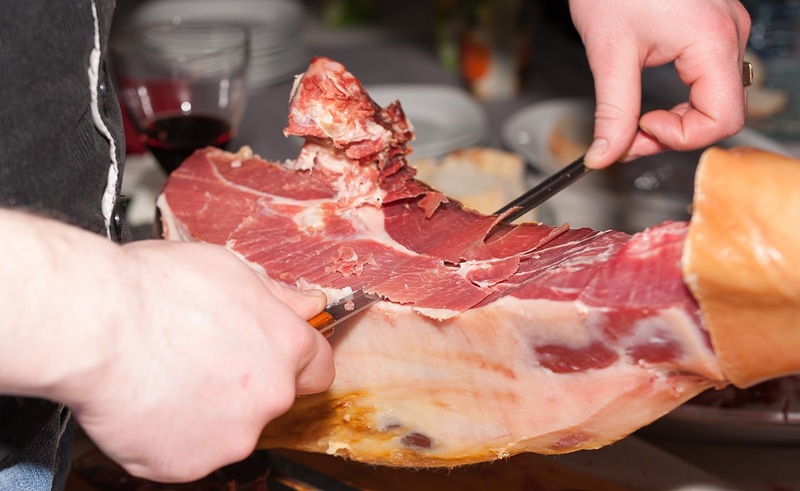 Old-fashioned dry-cured hams! Yes sir, you can process those venison hams in the same exact fashion but you'll find that the drying process will be a little shorter because of the moisture content difference between pork and venison. Pork contains a higher moisture content and takes longer to dry. If you really want to speed up the process, you can smoke those hams up to an internal temperature of 138°F and hold that temperature for 1 hour. 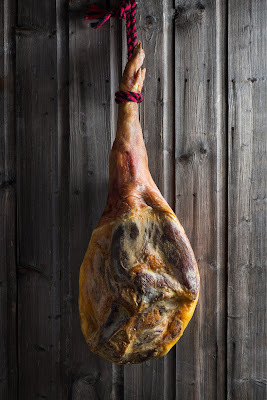 Then remove that well-smoked ham from the smoker and hang in the cooler to finish the drying process. I like this step because it speeds up the drying time and adds that great smoked flavor. Good luck this hunting season and thanks for the question. 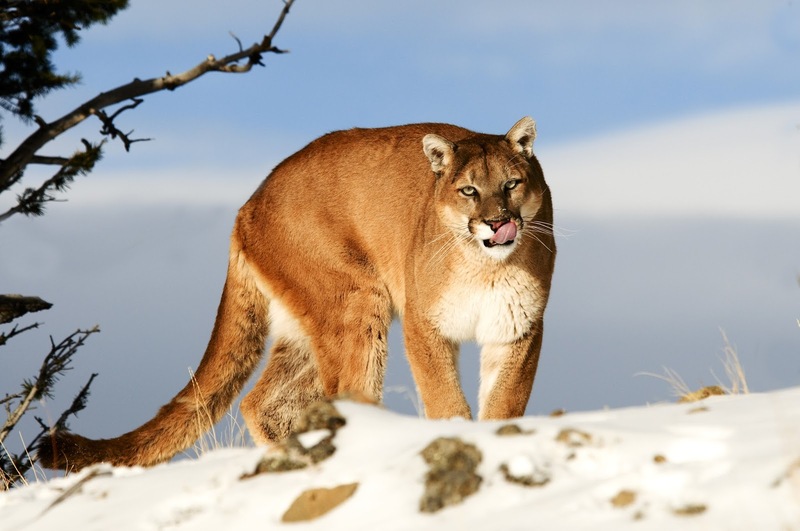 Do you have any good recipes or recommendations for Bobcat or Cougar? I can't seem to find many recipes, or people for that matter, that seem interested in eating these animals. Mountain Lion and Cougar! Now that is a field I don't have a lot of experience in - but I have dabbled with it some. The meat is very lean, but it's also wet - a little like turkey, so it soaks up seasoning well. So be sure not to overdo it on the seasoning! Don't add that little extra that we often times tend to do. I've enjoyed the overall flavor of Mountain Lion, but the texture always seems to be tough and chewy - so I highly recommend marinating the meat and using a tenderizer to break the muscle fibers down so you can enjoy the eating experience. Just keep in mind not to over do it with the marinade because lion meat absorbs seasoning very well. I hope this helps and let us know how it turns out! When you made processed jerky, you put seasoning on the meat then added water. Would mixing water and seasoning together work? Thanks for the question and yes, you can do that. Weston actually makes a variety of Jerky Seasoning Tonics that have dry and liquid ingredients already mixed - very similar to a liquid marinade. This makes it very simple to portion and skips over the step of adding the water separately. When I'm using dry seasoning, the reason I add the water after putting the seasoning on the meat is so I'm sure to get all the seasoning on the meat. If you mix the water into the seasoning in a separate container you'll always have some seasoning left in the measuring container, then you have to rinse it out again. Both ways accomplish the same thing, no matter if you add the water to the seasonings or the seasoning to the meat and then the water. The water is only used to moisten the meat and liquefy the seasonings so they begin to dissolve and penetrate into the meat fibers quickly. I hope this answers your question. Good luck this hunting season! Come this fall, we are fixing to go boar hunting to get a couple hogs in the 250lb range. Now we know that wild hogs are red meat. Question is: How do I get the hogs to the right shade color of meat - like in a store? I have been told that you soak the hogs for a few days in pure ice water, changing water each day till you reach the color you want. Do you have any insight on this? That's a crazy wild hog question! I've never been a big fan of soaking meat in water. I like to dry age and let the body moisture come out of the carcass for flavor reasons, rather than soak meat in water adding additional body moisture. The only experience I've had soaking meat in cold water is when it's down in a cure brine. Rather than dry rub bacon, I make a brine and soak them for 6-7 days and then rinse and smoke. You get a more consistent product that way. Often times, pork bellies will have serious inconsistencies. Some are fat, some are lean, some are moist and some are dry on the surface. When you dry rub these bellies, each one seems to take the dry rub a little differently. With soaking in a brine, the moisture penetrates more consistently. Why the concern about color? It won't affect the flavor. Soaking the meat in water for several days may change the flavor - it will certainly water log it. To answer your question: I would dry age and not soak in water. I would focus on the flavor rather than the color. Good luck on your hunt and I hope these little tips help you! 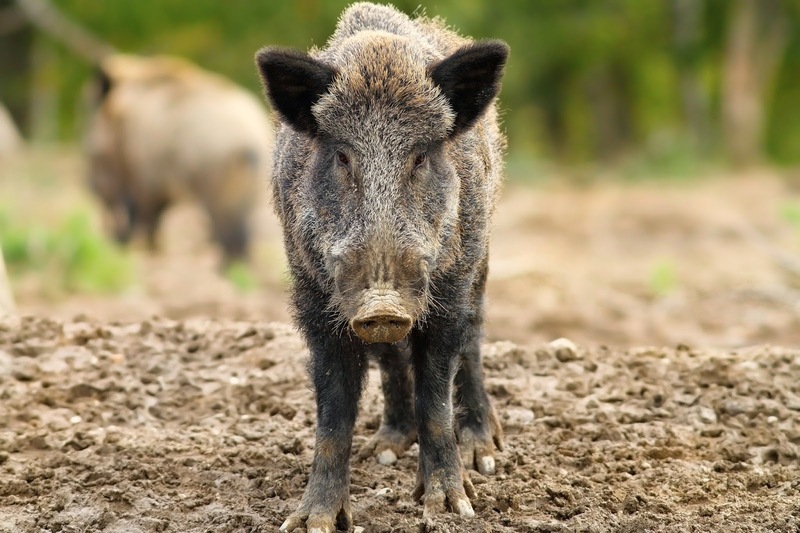 Should I Leave Processing of Wild Hogs to the Professionals? Saw two of your three seminars at the NRA Annual Meetings in Nashville. Great work and thanks for putting those on. I live in Texas and try to shoot as many wild hogs as I can fit into my freezer. When I get the meat back from the processor it has been frozen solid as a rock. Friends of mine say this "flash freezing" helps kill any parasites that might be in the meat. Is that true? If so, should I leave processing of wild hogs to the professionals or is it ok to age them in my refrigerator and store the pieces in vacuum bags in my freezer? Flash freezing will kill some parasites but the better method is cooking the pork properly. Cook your pork well and you will be just fine. You can age your pork just like beef and deer with no worries, Simply be sure to cook it well, bloody pork is no good, much different than beef. I prefer to process my own game under all conditions no matter what the animal is. The only one I trust with my food is me. That way I'm sure it wasn't cut on the same dirty cutting block with 10 other animals. That way I know the grinder was cleaned properly before my meat was put in. And that way I know it didn't sit out in the warm cutting room while everyone takes lunch breaks. Yep.... I prefer to do it myself! I love my garden, my canned deer meat, my own smoked hams, my own bacon. I need a green house in my back yard so I can have my own fresh tomatoes and lettuces year round! Maybe some chickens for fresh eggs. Now I'm getting overboard! However I do feel much better when my food comes from my own hands! I hope you enjoyed the seminar and I hope to see you next year! Back in the early 60's, we used to butcher the hogs to make sausage and stuff them in muslin cloth. Now, can we use non bleached muslin cloth that has been sewn into 2 inch tubes? We get our muslin cloth from a fabric store. Also, how well would venison sausage keep in the cloth? Should we freeze it or do you have a better idea? Thanks for the question Dave! I also like the old fashioned cloth sausage casing! 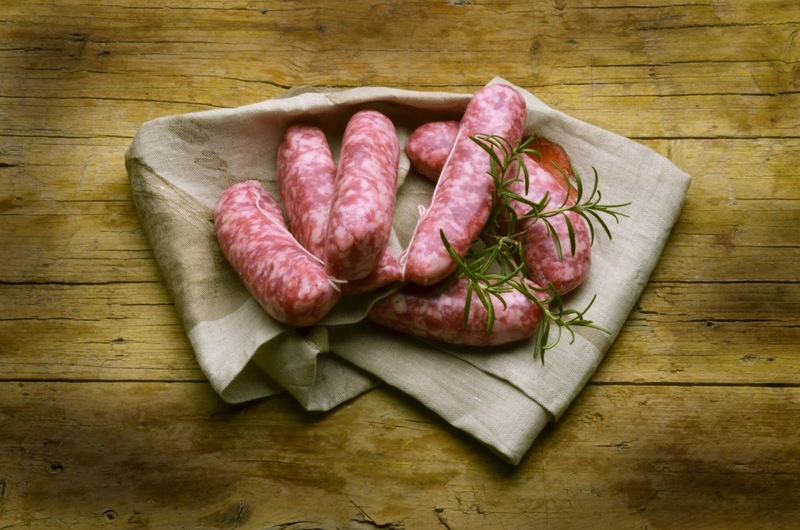 I haven't made sausage that way for a long time, but it really looks good in the cloth casings. Reminds me of trips to the sausage shops in Germany where they still use a lot of the cloth casings. If you want to make your own casings, you can do that for sure or you can do a search on the computer for cloth sausage casings and there are several companies that can supply them to you. When freezing I would still recommend using a Weston Vacuum Machine with their thick, commercial grade bags to prevent any quality loss on smoked products. Smoked products don't keep as well as fresh products in the freezer, so the vacuum machine and a good quality bag will help a lot! Thanks again for the question Dave! How Much Trimming Is Too Much? I just watched your TV show where you smoked a ham from the rear quarter to make some lunch meat. When you took it out of the cooler after aging you "trimmed" it - but the video showed what you trimmed, and it still had quite a bit of silver membrane on it. I have been processing my own deer for 8 years, and have always trimmed ALL the silver skin off - even what goes to the grinder. But....it takes forever, and I feel like I waste a lot of meat. Every piece of meat that goes to our freezer or grinder is completely free of any fat or silver skin. I have done this because I believe deer fat and silver skin leave a "wild" flavor. Am I overdoing it? Will leaving some silver skin give a wild flavor - even on steaks and stew meat? I have all your DVDs - I don't remember you addressing this specific question. Thanks! You are exactly right on the fat! Trim all the fat that you possibly can. Wild game fat does not store the oils in the same fashion that domestic animals such as beef, pork and lamb do. Wild Game fat has an undesirable flavor and an equally nasty texture to it. Now the silver skin, or connective tissue, that's a different story. You're not going to notice an off flavor from the silver skin, just a really bad texture and no one likes a bunch of chewy gristle in their hamburger, roast or steaks. We have a saying in the meat industry called "Trim the Heavy." What this means is: if it's heavy gristle trim it out! The reason we use this method is for the exact reason that you're noticing. 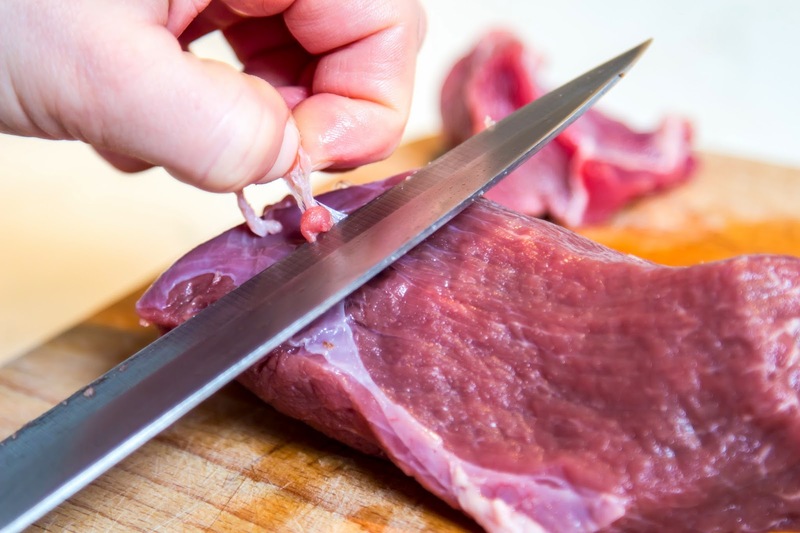 If you try to trim every little bite, you end up losing a lot of good meat in the process! So with that being said, "Trim the Heavy" and let the grinder handle the rest. You can only do so much. When I say let the grinder handle the rest I mean: Weston Grinders do a great job of separating the silver skin when grinding. What happens is: the gaps in the grinder blade allow the gristle to wrap around the blade and not go out through the grinder plate and into your finished product. One downside is that you'll have to take the head apart if the grinder starts slowing down on the grind and remove any gristle from around the knife, reassemble the head and start grinding again. Now, fat, on the other hand, can be much easier to deal with than gristle and silver skin. So I do my very best to trim all the fat possible. You can use a good boning knife and remove the fat much easier with less waste than gristle. Thanks for the question and good luck this season! I'm planning on making some elk summer sausage and breakfast sausage links, but have a question about fat ratios. In your DVD, you use an 80/20 mix with 50/50 pork for the breakfast sausage and an 80/20 mix of 50/50 beef and bacon ends for the summer sausage. I'm having trouble finding any 50/50 mix at any meat markets so far. Everyone is offering straight beef or pork fat. My question is: if I use straight fat instead of 50/50, would I use a different ration than the 80/20? Thanks in advance. Yes your blend will be different. If you're going to use 100% fat, I always like to cut the amount back. Let's start with the first step. Be sure you request back fat and specifically tell your butcher that you don't want "tallow". Back fat comes from steak trimmings on beef and pork chop trimmings on hogs. Tallow comes from the kidney fat inside the animal and under heat will render away to nothing but grease, and you don't want that inside the casing of your sausage product. When adding pure fat, I will mix 9lbs of good lean game meat with 1lb of pure fat. Always be sure to cut the fat into very small pieces before grinding, this way you can get the fat blended well with the lean meat during grinding. If you grind the fat in large pieces, it takes a lot of mixing to get the fat blended into the lean game meat. Always use pork if you're making a product that is primarily made of pork and beef if the product is primarily a beef product. For example, if you are making sausage, which is usually made from pork - add pork fat. If you are making hamburgers, which are a beef based product, use beef fat. I never have trouble finding 50/50 trim. If you ask at a custom butcher shop, you should have no trouble. At a grocery store, they may not do enough actual processing and grinding to have 50/50 available. If you visit a local custom butcher shop they should be able to help you with some trim that has fat and good lean meat mixed together. These trimmings will usually come off the ribs or brisket on beef and from the shoulder and fresh side on hogs. Good luck with your products and let us know how it turns out! How Long to Cook Stuffed Back Strap? On your show this week, you cooked a stuffed back strap. You said 280 degrees, but never how long. So my question is: how long did you cook it? The length of cooking time really depends on how thick the meat is that you have wrapped around your stuffing. If you're working with a thin back strap you may only need 60-90 minutes. Also remember that preparing your wild game on the medium to medium rare side never hurts either. If you want to get technical, you can always use a thermometer to measure the internal temperature. 156°F is going to be well done, and around 140°F will give you that medium texture with a little pink in the middle. Good luck Fred and thanks for the question.